Sourz Apple – Vibrant green in colour. Sourz Apple is sure to catch your attention. The sweet apple flavour is balanced by a zingy sour finish. A clean and crisp serve. Sourz Cherry – The ruby red liquid has a scent of berries and a perfectly balanced sweet & sour palette. Rich dark cherry combined with subtle berry flavours, leads to a lasting delicious feel. Sourz Toffee Apple – Now a permanent addition to the range, Sourz Toffee Apple is an exciting combination of rich creamy toffee and zingy sour apple flavours. Sourz Raspberry – The shocking pink and bold black of the bottle hints at something extra special. And Sourz Spirited Raspberry is just that. Strong hits of fruit, a balance of sweet and sour, impactful flavour and thoroughly irresistible. Sourz Mango – With its trademark zingy flavour, exotic taste and eye-popping orange and yellow bottle, Sourz Mango captures the spirit and excitement of summer. Delicious served neat and made for mixing, Sourz Mango is the latest permanent addition to the Sourz line-up. 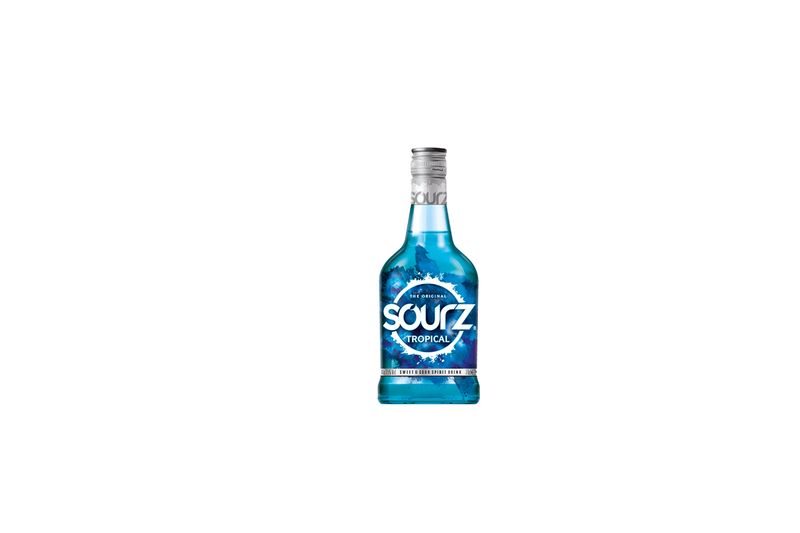 Sourz Tropical – Effervescent blue in colour, this mouth watering liquid combines an initial citrus taste with deep tropical fruit flavours and a zingy sour finish.